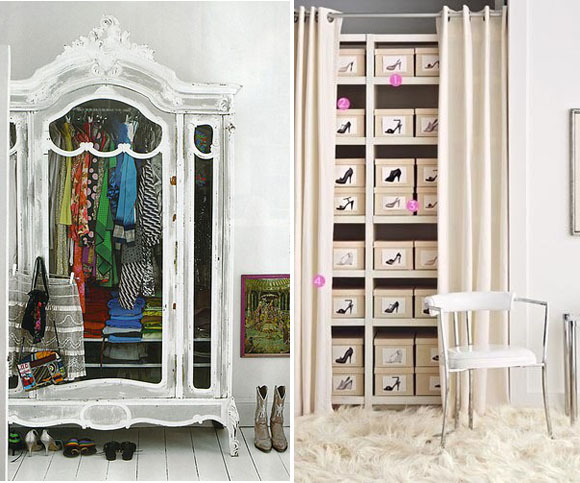 Which one of these walk in closets is your dream closet? There is only one season that brings the cooler weather coupled with the gorgeous hues of nature changing seasons and this is autumn. Whether you love bringing the rich jewel tones of burgundy, gold, and deep hunter greens into your home or you enjoy adding natural autumn inspirations, this is the time to do it! Autumn or fall as termed by many is wonderful for your home because its relaxed and comfortable before the hurried pace of the holidays begin in late November. 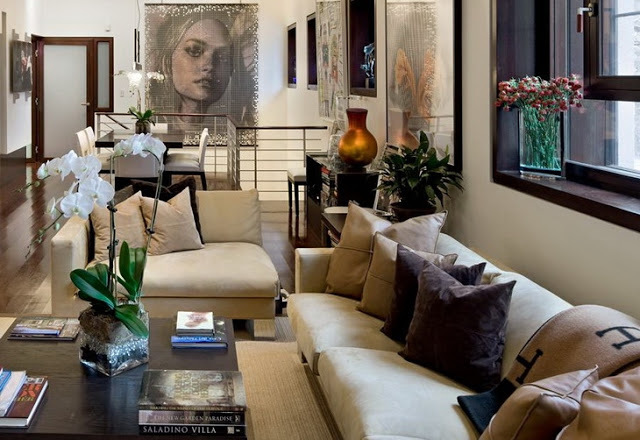 If you’ve been trying to think of creative ways to transform your summer interiors into rich Autumn-inspired ones here are some creative tips you may not of considered. The rich colors of nature are apparent in the changing foliage outside and the cooler temperatures make us want to stay inside and entertain or just relax and enjoy our family. If you are thinking about adding color to your walls, why not add deep rust to cabinets in your kitchen and bath or mustard or golden rod yellow to your backsplash tile or accent walls? If you’d prefer inspiration that you can change with the season – opt for rich neutrals like chocolate brown, or rich taupe throw pillows, accent rugs and window treatments in your interiors. The beauty of the autumn season is the versatility that you can bring in to any room. Your bathroom can be livened up with autumn inspired embroidered bath linens with fall motifs like leaves, trees, birds or even pumpkins! Orange is a favorite color at this time of year to incorporate in any room throughout your home. If you steer more towards the subtle approach to the changing of the seasons in your interiors, you can still embrace the colorful and natural aesthetics in your home. Look to furniture textiles in heavier weight tweed, seagrass, jute, and durable khaki furniture slipcovers are good for family homes. From brown and deep purple to a mixture of neutral grays and rich patterns/textures, your autumn home can have a sophisticated vibe that you’ve been craving. Autumn should be about a relaxed interior that creates a warm sense of union and a melding of nature inside and out. With these modern styling tips you can surely create a seasonal flair that you and your family will love. Image via: Sroka Design, Inc.
Natural materials such as wood, river rock, leather, organic grasses and other rich textural materials are perfect this season. Whether you use them in your flooring, wall treatments, artwork and sculptural display or decorative items that adorn your display shelves, bring in natural elements to awaken your interiors. A great and inexpensive way to bring in nature is to take a walk around your outdoor home or visit a local park that has pinecones, leaves, branches, straw, and even colorful rocks that you bring home and wash off can look gorgeous in a dining room table vignette. If you are feeling crafty why not make a terrarium and use some of your nature finds and small plants to bring autumn to your foyer side table? The options are limitless when bringing in natural decor to awaken your autumn home. 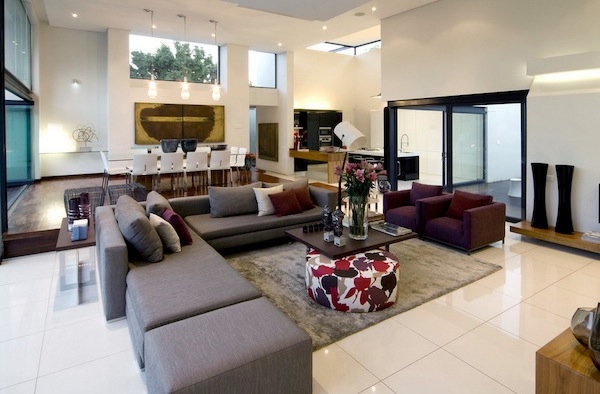 This autumn take advantage of the beautiful color, materials and inspiration the season has to offer your interiors. 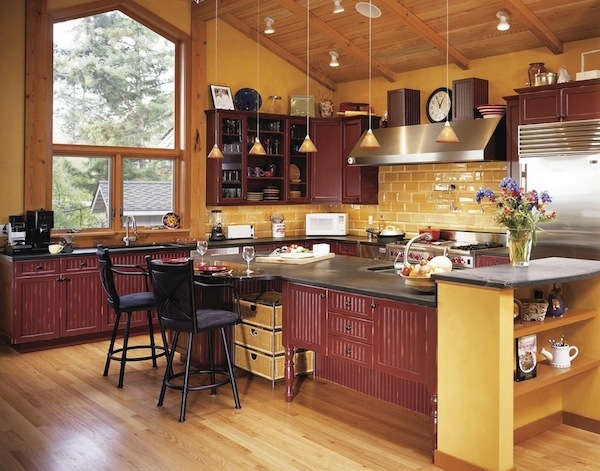 Whether you want to give your kitchen or bath a makeover with some autumn color inspiration or you want a seasonal look that is quick and easy – use these tips to warm your autumn home.